Synopsis: The early life and career of Vito Corleone in 1920s New York is portrayed while his son, Michael, expands and tightens his grip on his crime syndicate stretching from Lake Tahoe, Nevada to pre-revolution 1958 Cuba. Did You Know? The film became the first sequel to win the Oscar for Best Picture. There have, technically, been a total of three sequels that won Best Picture, the other two being The Silence of the Lambs and The Lord of the Rings: The Return of the King, but the former doesn’t really count as a sequel as it was made prior to its prequels. Quotables: MICHAEL CORLEONE: If anything in this life is certain, if history has taught us anything, it is that you can kill anyone. A continuation of The Godfather, the film is very much the same. But Robert De Niro’s quest for vengeance and Fredo’s betrayal of the Family make this film even more compelling. 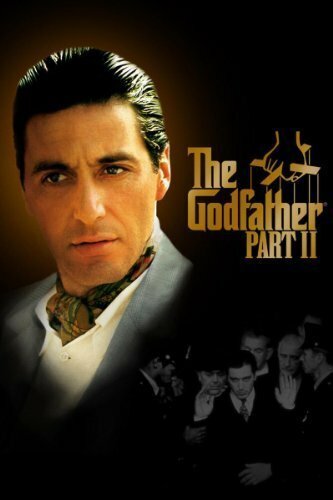 It’s not very often that a sequel is superior to the original, but that is the case with The Godfather: Part II.